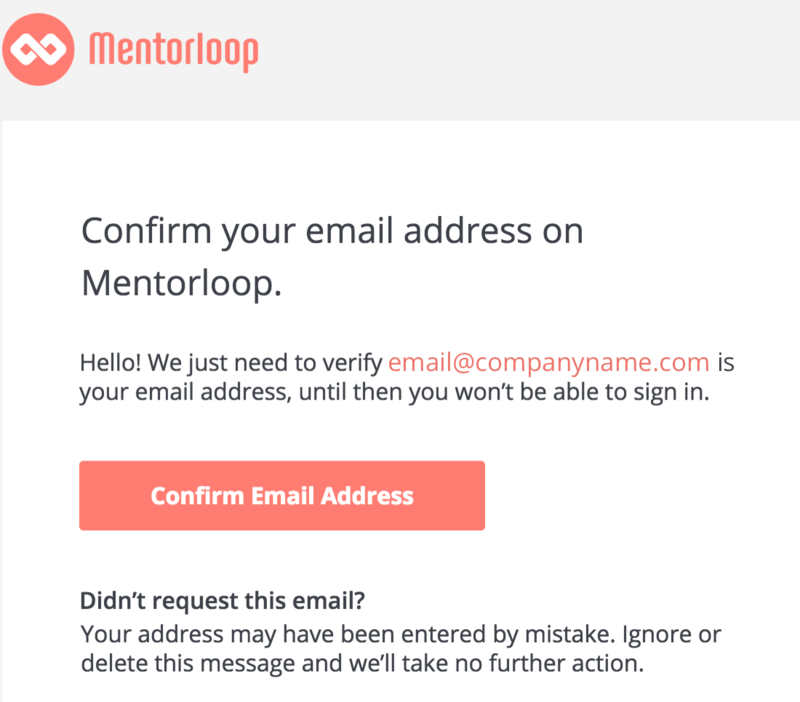 If you have completed a Signup Form but have not verified your email address you will need to do so to log in to Mentorloop. Head to app.mentorloop.com and enter your email address. You will be prompted to send yourself a verification email to your email. Click the link in that email and you have successfully verified your account and can now log in to Mentorloop. Please note: Each time you send a new verification email to yourself, only the latest email has a valid activation link in it. Accordingly, please ensure you are checking your inbox for the very latest activation email if you have tried to request multiple.